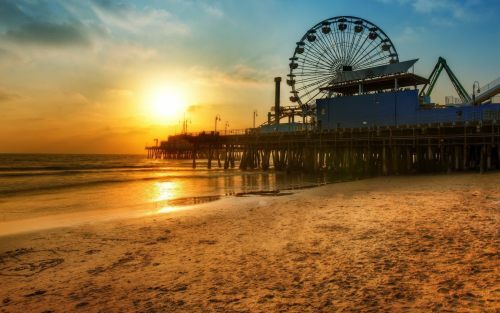 WestJet has dropped the price of their non-stop flights from Toronto to Los Angeles, California down to between $344 and $365 CAD roundtrip including taxes for June, July, and August 2018 travel. It's becoming fairly common for WestJet and Air Canada Rouge to drop the price of their non-stop flights from Toronto to Los Angeles down into the $300s roundtrip for fall, winter, and spring travel. And now it appears they're even willing to drop them into this range for July/August peak summer travel. Air Canada Rouge still has their non-stop summer flights priced in the $600s roundtrip. Note: After your Flighthub search completes, you may need to click on 'Non-Stop' on the left hand side. toronto, yyz, westjet, flight deals, united states, california, north america, los angeles and lax. 2 Responses to "Toronto to Los Angeles, California - $344 to $365 CAD roundtrip including taxes | non-stop flights in June, July, August 2018"
I am trying to find flights for these specific dates, but they are showing as regular price. did they go back up? It does look like prices are going back up. Yesterday, the non-stop flights were up to about $380 roundtrip. Today it looks like they are currently at $460 roundtrip.